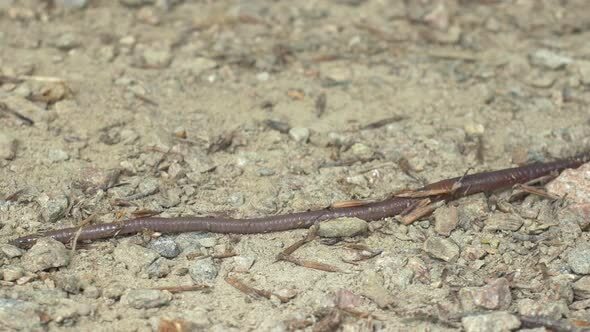 Timelapse of an earthworm (annelid) crawling fast on the ground. Filmed in 4k. Location: Lomma, southern Sweden in June.